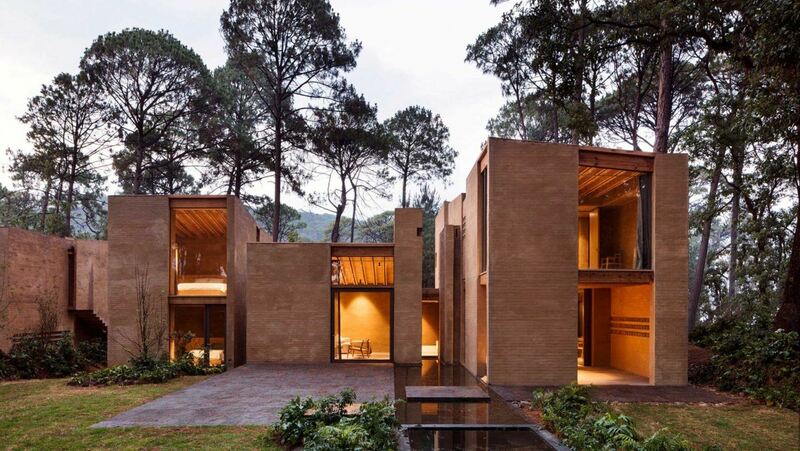 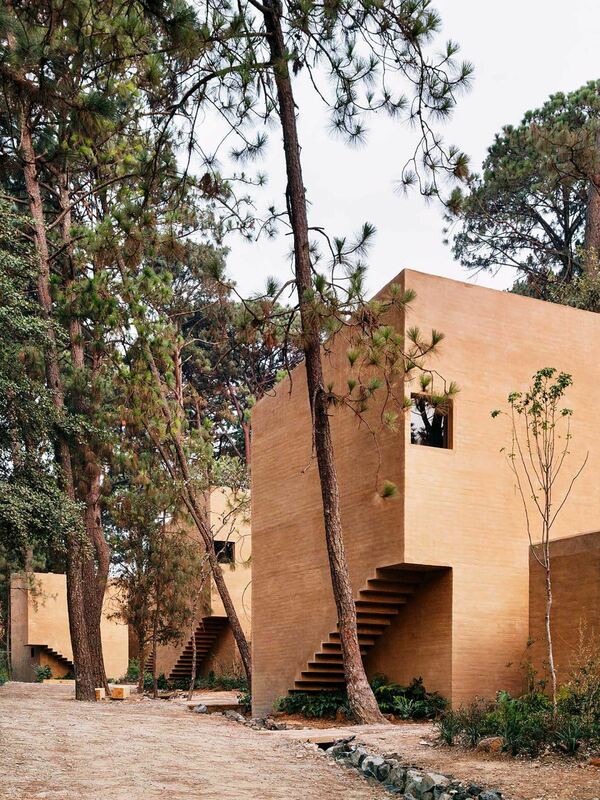 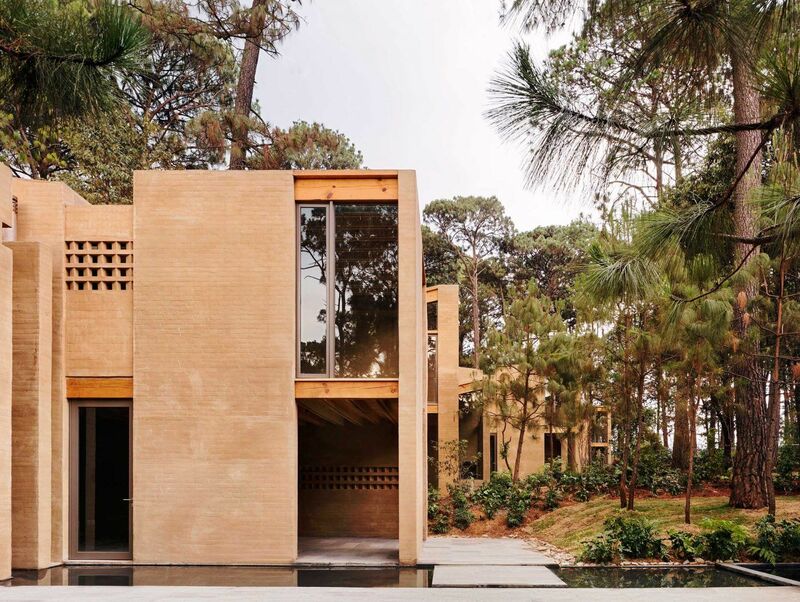 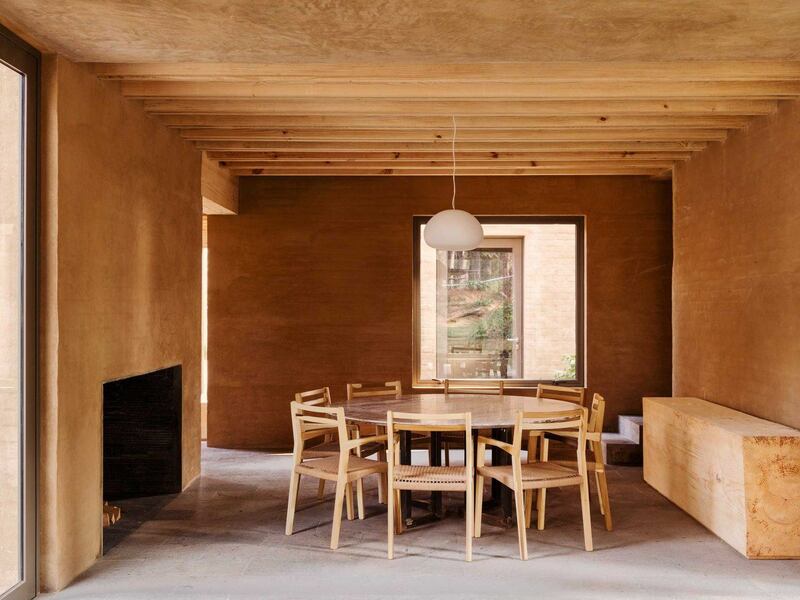 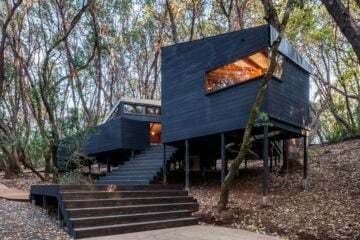 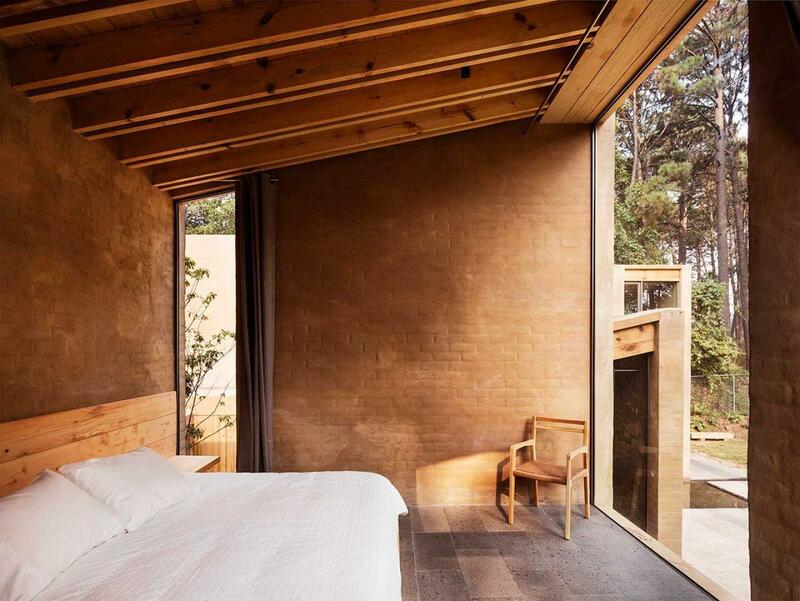 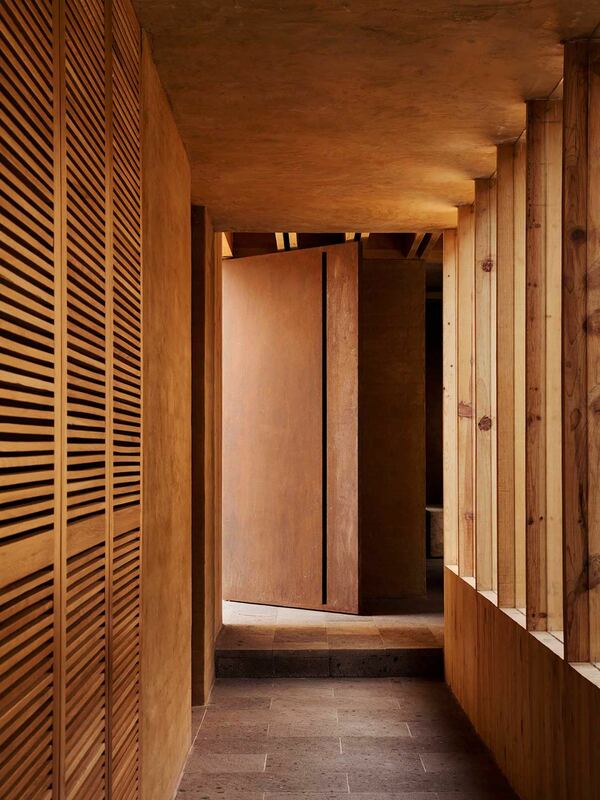 Two hours west of Mexico City, in the hills above Valle de Bravo, is ‘Entre Pinos’: five vacation homes scattered amongst the pines, designed by local architecture firm Taller Hector Barroso. 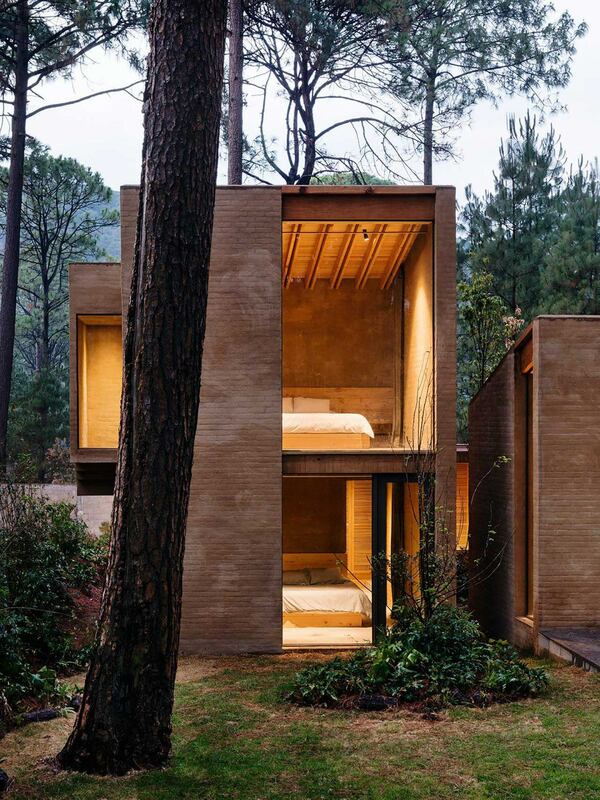 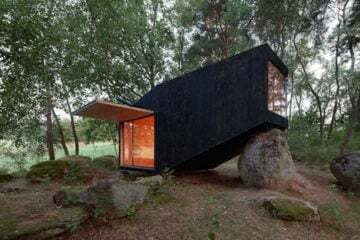 Translating to mean between the pines, the five buildings are positioned in a way that takes advantage of the natural topography of the forest whilst guaranteeing privacy for the residents. 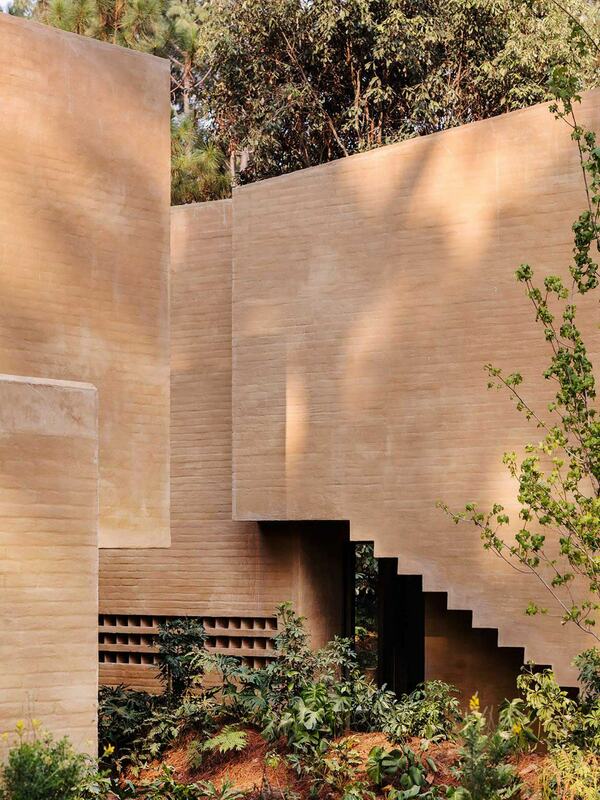 The north side of the property faces the road, and here the buildings appear impenetrable—their only feature being the negative space formed by their extruded staircases. 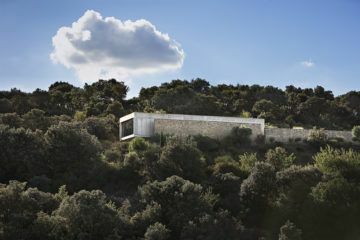 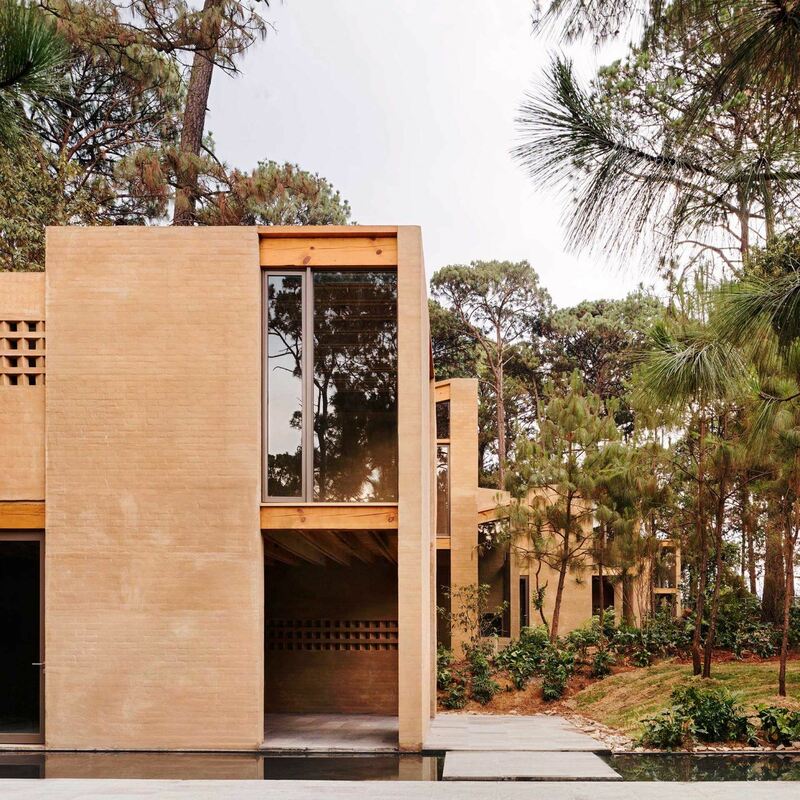 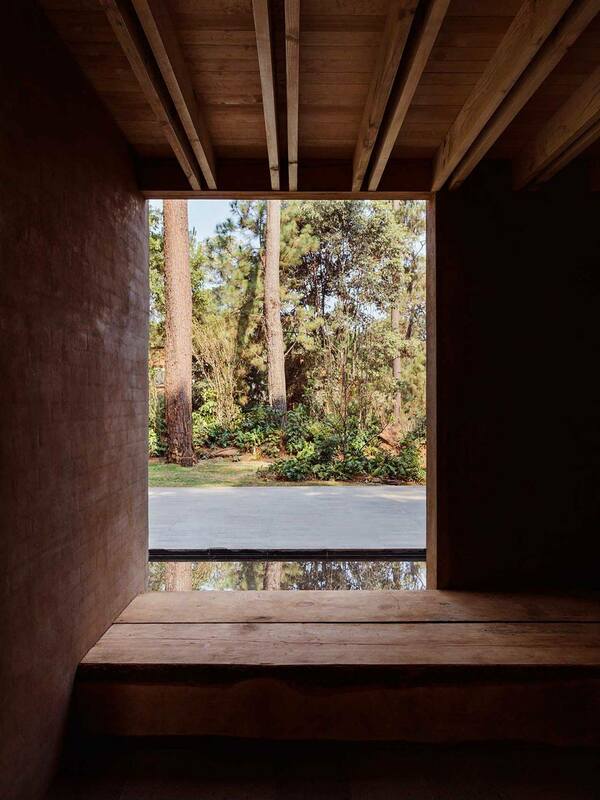 On the opposite side, the south-facing buildings feature full height windows and glazed doors that offer views of the pines and substantial natural sunshine during the day. 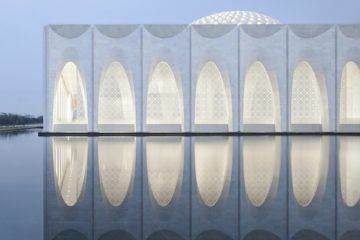 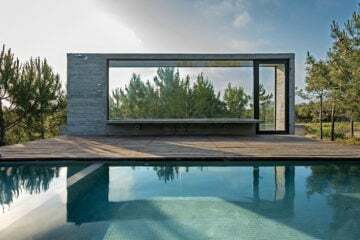 The five buildings are constructed around a central terrace and reflective pool which help engage the properties with their natural surrounds, which they remain unfenced from. 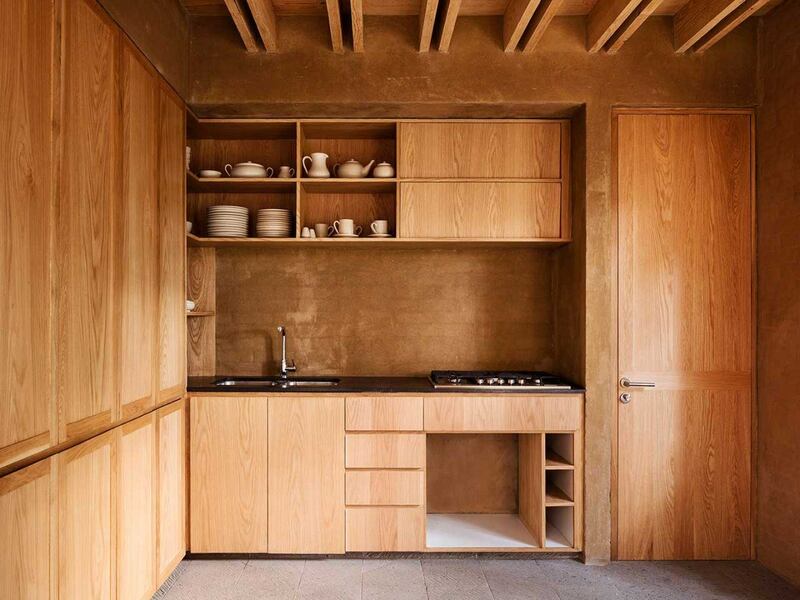 The properties “Each house consists of six volumes positioned in such a way that they generate a void”are each structured identically, their 340 square meters assembled from a collection of spaces spanning over two floors. 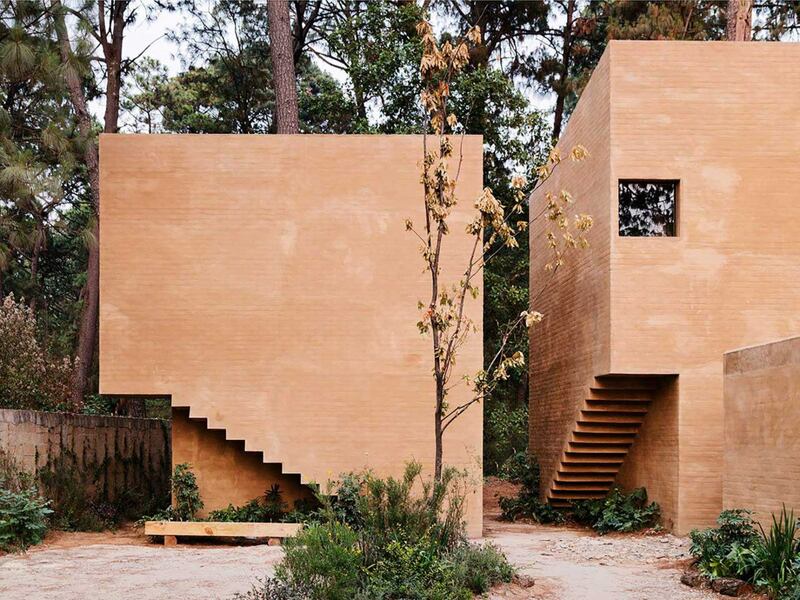 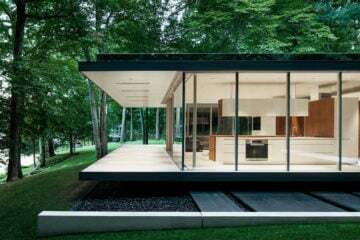 “Each house consists of six volumes positioned in such a way that they generate a void, a central patio”, explain the architects. 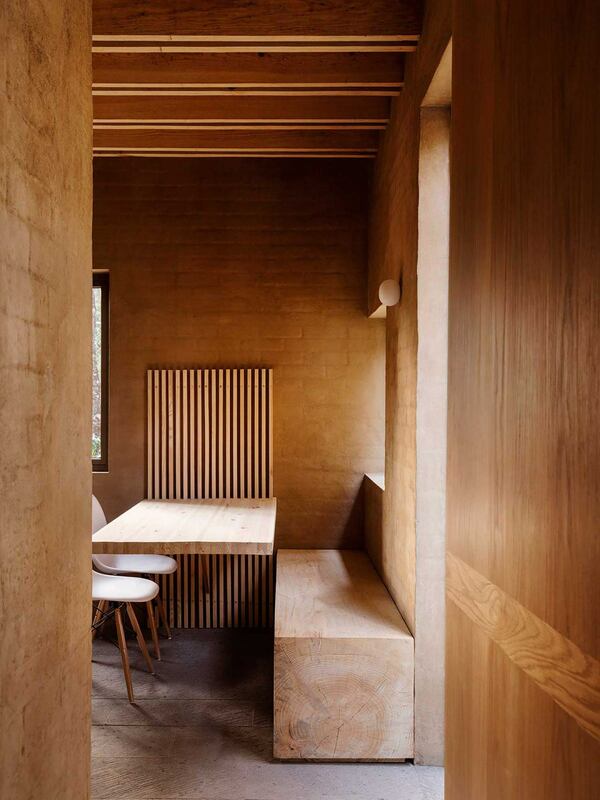 Communal spaces on the ground floor feed onto this patio, and a separate block houses one of four bedrooms. 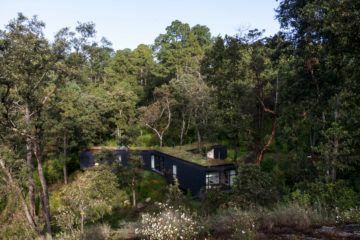 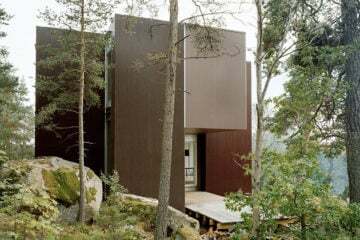 The upper floor comprises three bedrooms with views of the forest, each with an ensuite bathroom. 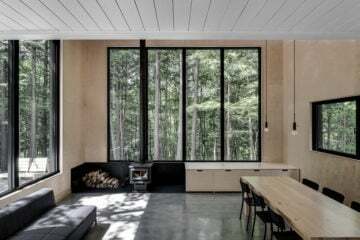 Built with sustainability in mind, the properties use thermal mass for heating and cooling, and local materials were used to lower the carbon footprint of the build. 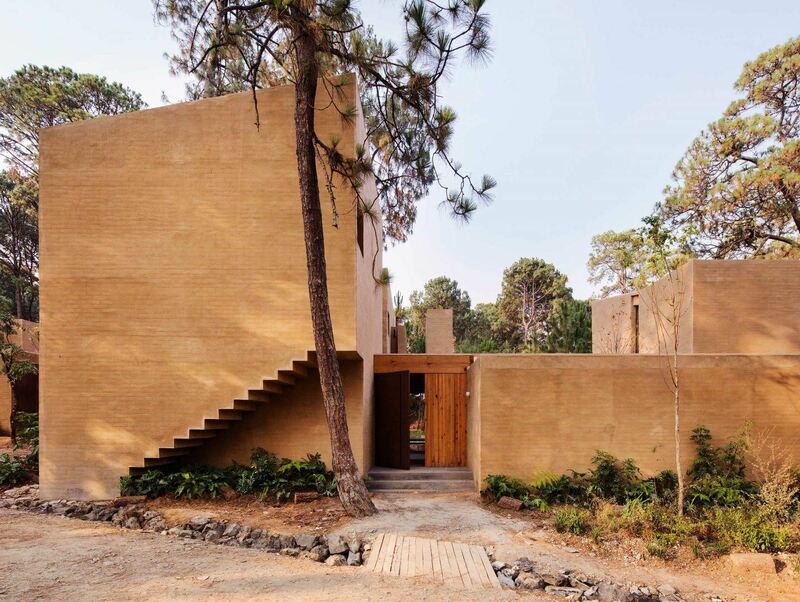 Soil that was extracted on the site during excavation has been used to coat the exterior of the five buildings; giving them their terracotta glow. 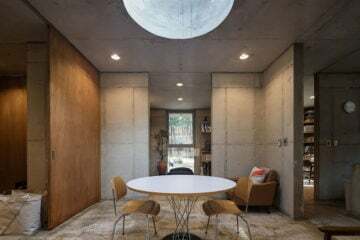 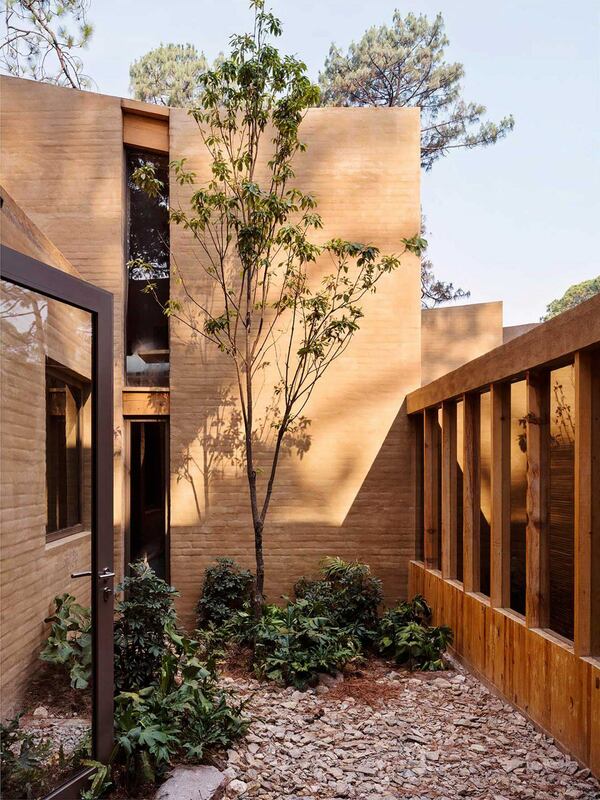 This organic aesthetic continues inside, where brick walls remain ruddy and exposed, as does the timber framework of the building, and the natural stone floors.